We’re excited to announce today that the interactive, color-changing “Glow with the Show” Ears introduced at Disneyland Resort last summer are coming to the Walt Disney World Resort – beginning on October 15. The magical Mickey Ear Hats will make their debut with Fantasmic! on October 15, a date that also happens to mark the 15th anniversary of the nighttime spectacular at Disney’s Hollywood Studios. 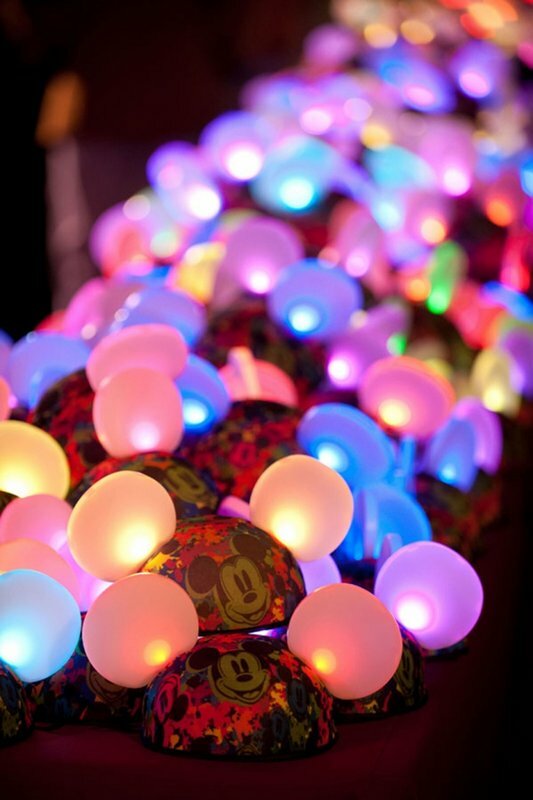 As Erin has shared with Disney Parks Blog readers, “Glow with the Show” Ear Hats employ leading edge technology to light up and synchronize with each entertainment experience in amazing and dazzling new ways, making members of the audience an integral part of the show. Let us know if you’re excited to “Glow with the Show” at Walt Disney World Resort this fall. I've said it before, but I'll say it again: glow with the show ears only work well if lots of people watching the show have them. Then it really adds to the show. Otherwise it's really no different than buying one of the generic light up toys. Yeah, I agree. I also think the hat portion is so incredibly ugly. Jew wrote: Otherwise it's really no different than buying one of the generic light up toys. If all the light up toys were "glow with the show" enabled, that would be pretty cool. At least they would add to the show rather than be an annoyance. Does anyone know what crowds should look like Tuesday the 15th or Thursday the 17th this week!? I'm in FL Monday to Friday and we are hitting Disney along with Busch and UOR. Any help would be great on the Disney crowds!! Have you been to see Mickey lately at Town Square Theater at Magic Kingdom Park? It’s a great spot to duck “backstage” to catch up with everyone’s favorite mouse. Now when you visit, Magician Mickey Mouse has some extra magic in store for you. Take a look! ^ I know they have been doing it for a while but it still freaks me out a little when I see the costume characters mouth moving and speaking. It's amazing how far the costume characters have come. I love the interactivity. I also love that Disney took the time to make it look natural, instead of trying to do a cheesy voice over with existing costumes. It's both impressive and a bit creepy.